6 month old, Black and White, Male Kitten - Waylon was rescued when he was about 4 weeks old. He has several siblings. He was born approximately May 21st, 2016. He is an independent kitten and may need a few days to warm up to you. He is very active and likes toys/balls and playing with other kittens. Waylon was fostered with dogs and other cats so he gets along well with other pets. Waylon would do best with adults and older children. Thank you for considering rescuing an animal in need! 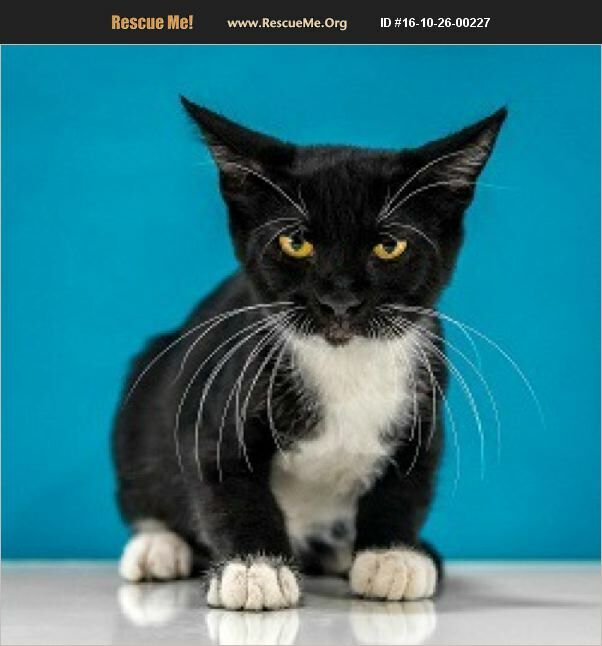 If you are interested in adopting any of our cats, please fill out an application by going to our website www.azrain.org and click on the ADOPT tab. Once submitted one of our adoption coordinators will review your application and contact you to set up meet and greets. Some of our Felines are located at PetSmart adoption centers: Chandler location at 2840 W Chandler Blvd. Tempe location at 1900 E Rio Salado Pkwy. Ahwatukee location at 4609 E Ray Rd. FOR ALL CAT QUESTIONS: Text 614-385-2868 or EMAIL info@azrain.org. R.A.I.N. Rescue (Rescuing Animals in Need) is a 501c3 non-profit, all volunteer animal rescue. For more information on volunteer opportunities please go to www.azrain.org and click on HELP RAIN.